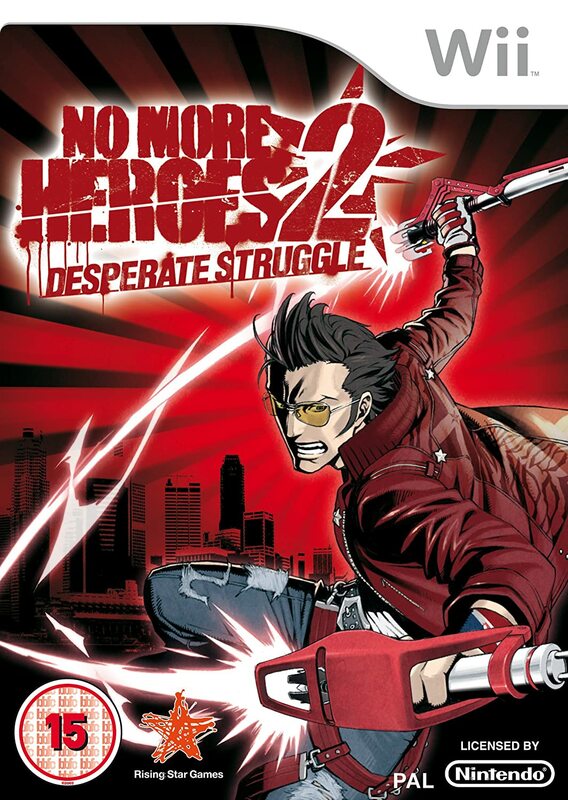 We haven’t heard a peep from otaku assassin Travis Touchdown since he last graced our screens in 2010’s No More Heroes 2: Desperate Struggle. Brainchild of enigmatic industry figure Goichi ‘Suda51’ Suda, Travis cut a stylish swathe through Wii’s catalogue of casual fodder. That same infectious energy is alive and well in Travis Strikes Again: No More Heroes, the latest game from developer Grasshopper, and it’s great to see Suda51 back in the director’s chair for the first time since the original game. This is not a straight sequel, though. Positioned more as an indie-spirited accompaniment, this was developed by a small team and picks up the story years after No More Heroes 2. Travis has been living the dream, travelling around the US in a house-sized trailer playing video games. Despite this nomadic existence, Bad Man – vengeful father of No More Heroes’ dearly-departed Bad Girl – has finally tracked him down but both are mysteriously sucked into the world of Electric Thunder Tiger II, Travis’ only game for the legendary Death Drive MK II prototype console he’s got his hands on. They strike up an uneasy alliance and end up having to enter five other games, arriving Terminator-style, before hacking and slashing their way through static-infested enemies known as Bugstreet Boys. The cell-shaded aesthetic remains from previous entries. Everything is 3D, although with a fixed viewpoint that changes in every section, from top-down to side-on with various angles in between, all without player input. 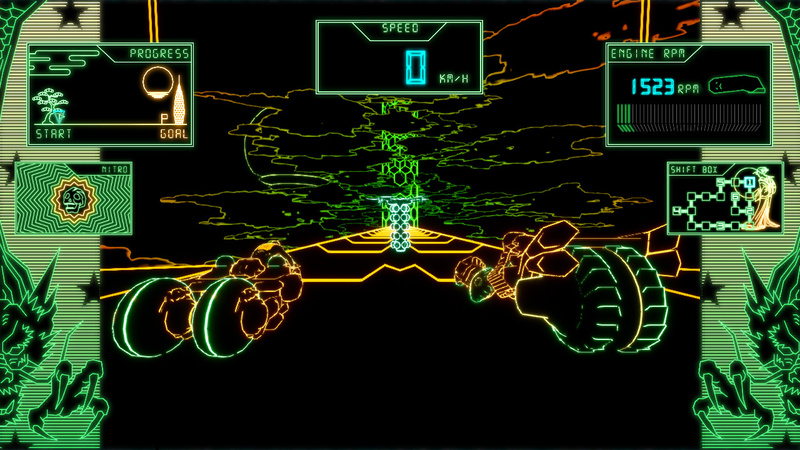 Controls are simple – ‘B’ to jump, with light and heavy strikes split across ‘Y’ and ‘X’ respectively and a rolling dodge on ‘A’. Travis’ badass beam sword depletes with every swing and must be recharged by clicking in the left stick and shaking the right Joy-Con (a familiar action to fans of the previous games). You waggle the right stick instead if playing in portable mode, although you’re encouraged to play Super Mario Odyssey-style with a Joy-Con in each hand. Holding ‘L’ and hitting a face button unleashes a variety of assignable skills you collect along the way, from lightning bolts to defensive barriers or summon spots that interact with enemies or replenish your health. Presets are saved and loaded from the pause menu. Skills recharge at different rates, and combat relies heavily on them – it’s vital to experiment and find what suits your playstyle. Although each of the six Death Drive games has a different theme, Travis’ hack-and-slash gameplay is consistent across the board. Specific sections ape other styles or games (and there are some great surprises along the way). The second game intersperses a series of murder houses with a top-down suburban neighbourhood on rotatable tiles bringing some light puzzling. Another Death Ball (DDMKII games don’t come on carts, you see) sees you exploring a spooky mansion in search of damn fine coffee and doughnuts (props to the localisation team for that one). The gimmicks raise a smile, and while some are stronger than others, the base gameplay is satisfying enough to keep you going through the less-inspired sections. Save points (toilets, of course) are scattered throughout and enemies evolve quickly from lowly drones to shield-wielding variants and beyond. Crowd control becomes important and you’ll need to prioritise baddie-spawning skulls before dealing with the horde. They inevitably get a little repetitive and, although mid-bosses provide some comedy, they’re not particularly interesting fights – hack-and-slash veterans will have little trouble on standard difficulty. 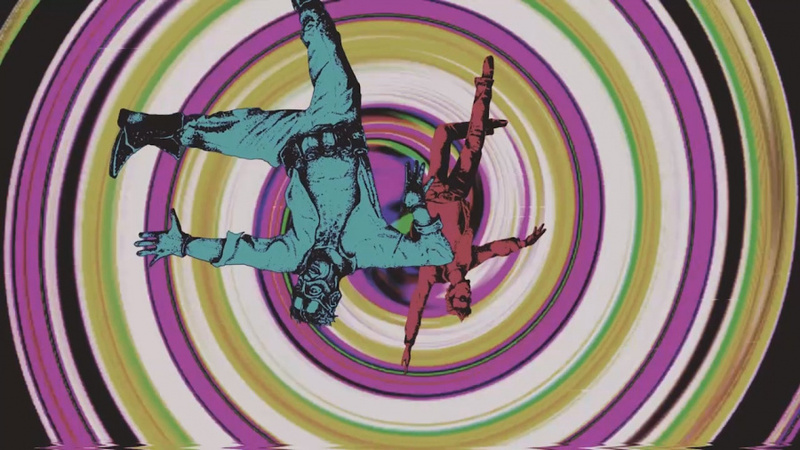 Bosses themselves are an entertaining bunch, but they’re still pretty standard – it’s slick, stylish fun but Travis Strikes Again lacks the depth of more complex fighters. Bayonetta certainly won’t be losing any sleep. We spent the majority of our time as Travis, but the baseball bat-wielding Bad Man is available at almost any time from the pause menu, with individual XP and a couple of bespoke skills. 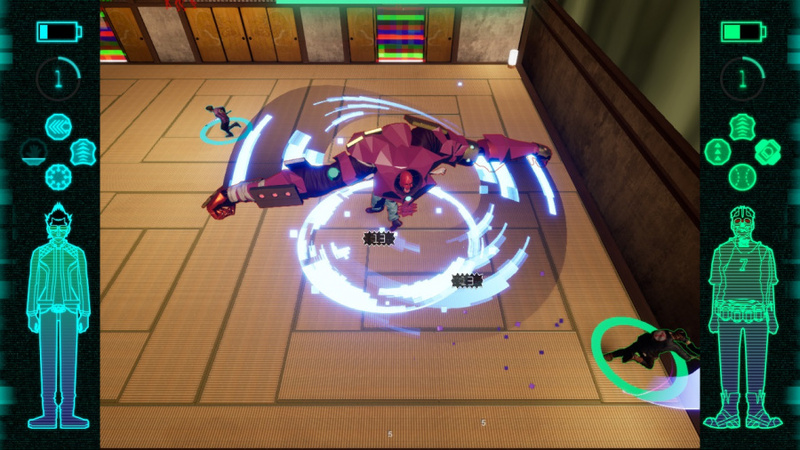 The game boasts drop in, drop out single-screen co-op with a single Joy-Con, too, and the simple controls and mechanics lend themselves well to teaming up with less-experienced players. Mechanics aside, Travis Strikes Again’s presentation is intoxicating. Every ‘game’ is introduced with crackling CRT static and presented in 4:3 with art and info occupying the borders on the sides of the screen. It’s a meta-collage of pop art, ‘80s neon, Spielberg films on VHS and, of course, video games. On paper, it sounds like reconstituted Ready Player One, but it’s got more bite than that and Grasshopper’s self-awareness prevents it from becoming a ‘spot-the-reference’ box-ticking exercise. An eclectic soundtrack mixes Thomas Bangalter-esque techno with twangy hillbilly guitar and smooth chillout (we particularly liked the track in the mansion). Jokes about budget restraints, spiralling localisation costs and fighting against system specs will tickle anyone familiar with game development. Characters worry about gamers ‘expecting an action game’ and not wanting ‘a buttload of text’. They ponder the importance of their Metacritic score. Grasshopper explores the dashed hopes and frustrations of game development, coming close to eating its own tail sometimes, but it’s never less than entertaining. In between games you hang out in your trailer, a hub with a PC to access ramen blogs and a shop where you purchase indie game t-shirts using the coins and collectables you find. We showed our love for Just Shapes & Beats, but there are dozens to choose from; Travis Strikes Again wears its fandom literally on its sleeve. For all its Tarantino-esque reverence, though, we never found it grating or try-hard. This isn’t a game of ‘knowing’ references or thematic nods to Spielberg’s oeuvre; it gets up on the table, demolishes the fourth wall and shouts: “EVERYTHING IS ******* AWESOME!” Its references are in-your-face (with enemy names including Spielbug, Soderbug, and Zuckerbug) and genuine rather than affectations that broadcast nerd credentials, shoving Grasshopper’s tastes down our throats. It’s unpretentious and wonderfully inclusive – a Lego Movie-like celebration of video games, if you will. And thanks to that generous spirit you tend to let its shortcomings slide, sitting back and enjoying the ride rather than dwelling on invisible walls, finicky platforming or repetitive enemy types. Instead, you’re opening up the archives section and reading fantastic era-appropriate reviews for tips, or enjoying the interstitial globe-trotting narrative via a DOS-style text adventure ‘game’ (although it’s really just tapping through dialogue boxes). It’s pitch-perfect, anticipating the player’s thoughts and mood, and it’s willing to poke fun itself and the limitations of the medium. Suda seems content to let his video games be video games, so despite all the intertextual references, you’ll spend your time playing Travis Strikes Again, unlike certain other series helmed by auteur game directors we could mention. Although we had sixteen hours on the in-game clock when credits rolled, exploring, dawdling and note-taking probably inflated this by 5-6 hours. There are collectables and hidden characters to go back for (how else are you going to procure all those natty t-shirts?) and 'Spicy' difficulty unlocks upon completion. Plenty to keep you busy, then, and we’re eagerly awaiting the DLC. 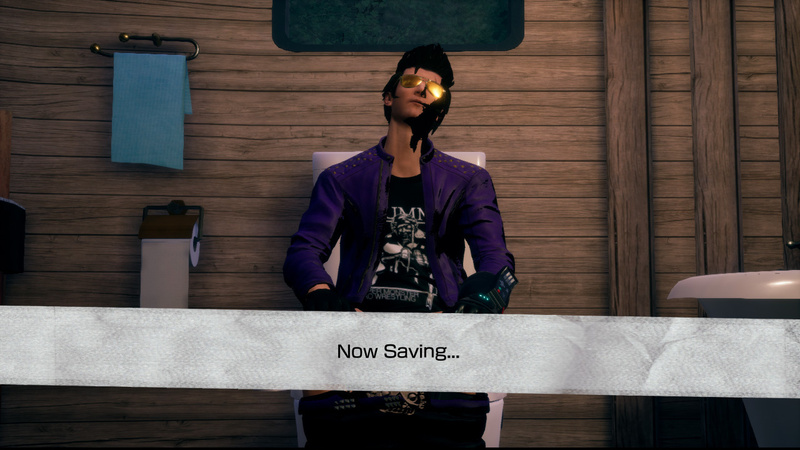 Billed as a side dish, Travis Strikes Again: No More Heroes has been prepared with enough love and affection to become a filling meal on its own, packed with the spice and spirit you’d expect from Travis Touchdown. It’s a fun, indie-inflected blast of hack-and-slash which doesn’t change the world mechanically (and don’t go in expecting No More Heroes 3), but its sincerity and energy are charming. It’s an adult game – a gamer’s game – foul-mouthed and dripping with style. If you’re sitting on the fence, we’d recommend diving in, if only to support its infectious, celebratory spirit; Suda51 seems to have a real affection for Nintendo hardware and this makes you feel lucky to have him working on Switch. Been looking forward to this one for a while. I know it's not No More Heroes 3 but I'm sure it's going to be pretty fun nonetheless. This game is just not for me. Hope everyone else enjoys it though. If you have not played the other games in the series do you recommend buying this game? Sounds interesting. I’ll be picking this up on Friday; however, I don’t plan to fully sink my teeth into it until all of the DLC is released. Yeah, for some reason I just don't feel engaged by this game. Even though it looks extremely stylish. Oh yeah I need this in my life. @ReaderRagfihs And with the Switch being portable, you can save on the toilet while also being on the toilet in real life. Yeah, no. I can wait for a discount, if I get it at all. Eurogamer gave it an "AVOID". This is one of the enthusiastic reviews, but there are much less positive ones elsewhere. Seems it’s splitting reviewers. Eurogamer gave it an "Avoid" rate saying "A limp arcade action game amidst a sea of mindless references, Travis Strikes Again fatally lacks the style of its predecessors.". Think this game is one of those games that is sort of weird and will either be a love it or hate it kind of game. Personally I think I will love it. When you been playing games for a long time, these type of weird games are usually a treat as they break the norm. This game might be in the “Love it, or hate it” zone. Not interested unfortunately. I'll wait for No More Heroes 3 instead. So Eurogamer give it a 1/5, IGN a 6, Easy Allies (who by the way give the most informative and balanced reviews on the net) a 5.5... and yet Nintendolife gives it an 8? I'd encourage people to seek a few more reviews before trusting this one. I've finished NMH back on the wii and played a bit of the sequel which didn't hold my interest for that long and in all honesty they were verrrry rough around the edges, with dated visuals boasting mediocre and repetive gameplay. The kicker has always been the crazy style, characters and whackyness that is Suda 51. But it just isn't enough in those two cases, at least in my eyes. I am on the fence. I own both NMH 1 and 2, but haven't really played them because they fell into the backlog pile, which I already had in early 2010s, so I'm in no rush to get this game. Besides, it's cheap enough to begin with, but it's not going to see its price increased any time soon, I expect. @Agramonte according to our profile on Metacritic: "On average, this publication grades 9.7 points lower than other critics. (0-100 point scale)", so I guess by bump you mean we've scored it down? reviews are subjective, so maybe Gavin just liked the game more than Martin at EG? Opinions and all but this review seems to be the exception to the others. The game has never appealed to me from all I have seen of it. It looked boring and repetitive and that seems to be the general consenus apart from here. I will skip this but I hope those who buy it have a great time with it. Now just port the NMH games to switch to fund no.3. Sounds like it's not for every0ne. Sounds like it's not just about style over substance, but rather style AS substance. Sounds like a Suda51 game. And it's only $30 to boot? Sounds like I'm gonna love it. Thanks for the in-depth review! Looks like trash. The gameplay I've seen on Youtube looks dreadful. The first one on Wii scored little below 7 ( if I remember correctly, not here though) and I still loved it. Hopefully a demo comes out as it seems buying it it's kind of a risky move (I'm on the fence right now). No more Heroes as a franchise is a niche love it or hate it franchise, so I'm not really fussed with reviews. @Ryu_Niiyama Me neither, plus I love hack-n-slashing, profanity, and pop culture references so I'm stoked lol. Wow a nintendolife 8 that's got to be worth picking up?#%! Awesome review NL! I've read a bunch of reviews this morning but I think that this is the best of the bunch. I'm all about video games that provide memorable experiences even if they may be lacking in polish or gameplay, so I think this may be right up my alley. Also, as a lover of indie games, it'll be awesome to sport my favorites on the shirts in-game. Hope there's a Celeste shirt! I've never played No More Heroes. Would people who have recommend getting Travis Strikes Again? I saw the Nintendo Minute video, looks interesting. I really haven't kept up to date with this (I was disappointed about it not being NMH3) but have to admit that from the reviews so far it sounds excellent and I think I'm going to have to pick it up. Would love to get ports of the originals and of course a proper sequel one day! @Agramonte haha, no problem - it's obvious hit and miss, sometimes up, sometimes down but there is no proven bias seems this one has divided critics though. Deadly premonition was polarizing in the reviews as well. I won't hesitate to pick this up. @tourjeff Well i want to point out, that this is Game is even more niche than the maingames... and i have to point out a lot of sites test for the mainstream, so an game like travis strike again have a hard game... it doesn't matter how bad or how good it actually is. I watched the Nintendo Minute gameplay video, and it looks...weird. But so far, Goichi Suda hasn't let me down, I'm not sure if I'll be able to get this now, but in the future, for sure! Famitsu gave it a 33/40 .. I've always found games that split opinions are usually the ones I enjoy the most. Think I'll be ordering it as I've enjoyed all of suda51 games so far. Well I really like Severe Torture's 'Fall of the Despised', but most people would probably think it's terrible music. Read more reviews before buying - Nintendo Life is drinking the koolaid a bit hard it seems - could be wrong, but this review feels off anyway. Mostly everywhere else is giving it poor reviews. Tell me again why this series is so liked? The protagonist is a cringe fest--the embodiment of a 13-year-old-weebo edge lord. And the gameplay was a waggle-mess of brokeness. Oh well. Back to Smash. But it had style. SOOOO much style! And it was off the charts hilarious and so self aware. That's what makes a great game right Suda!? Durp. NMH would of been more enjoyable had it ditched that awful sandbox city, axed the jobs, mixed up the game play, gave it just a little more variety and took more time to polish the visuals ect. I would like a demo of this title for sure, it seems to be all over the place in presentation, gameplay and now reviews ., LoL. It most definitely seems like a game you will either love it or hate it with no middle ground which that alone has me curious. I would definitely like to give a demo a try first. Easy pass for me.I never played the first two games, never appealed to me and this game won't change my mind. This is the type of game that NL tries to shove down our throats with an 8. Won't buy it, looks awful. Sounds like a solid rental to me. @BensonUii Isn't Eurogamer that site that hates games almost as much as the people that play them? Once I saw I can put Travis in a Hollow Knight T-Shirt, that was the tipping point for me. Physical day 1. Why does almost every Switch game on this site gets an 8/10? 8/10 is a very very good score and I doubt that the majority of Switch games are that good. Shame that there's probably never going to be a real NMH sequel given the (nearly) universal "meh" this game is getting. Can't wait for Friday, i'm very excited for this one. Killer7 is still the best video game ever made in my opinion. @Onkel_Laser Yeah, I doubt it too. I guess this, Mario Bros. Deluxe and YIIK are kind of "victims" of a dry season syndrome: there's no other major games released at this time, last year games are still keeping a strong grip on us, so let's pretend that these new releases are really good. This game deserves attention just because it's different. Not my cup of tea honestly, but I'll probably get it someday just for the collection. Why the horrible screenshots or is this how the game really looks like? Great review! I will get this on Friday, seems like a fun game. I'm glad it's not that long. Not every title needs to contain 100+ hours of gameplay. Edit: The game currently has a Metacritic score of 71, with 52% of the reviews being positive. I wouldn't call that bad. Sure, it doesn't seem like a masterpiece, but to me it sounds like great, mindless fun. Not everyone's cup of tea, of course. But I'm looking forward to it! This game just looks weird, like I have no idea what this is supposed to be about. I'd really like to see basic gameplay footage become a more integral part of NL reviews - certainly for higher profile releases like this. Those are some chuffing awful screenshots. @WaveBoy That was also a collaboration. @tourjeff While NL has okay reviewers they always give games an 8 or higher. So I would trust a Eurogamer review more since they don't praise every single game to be shat onto the Switch. @BenAV you win the internet for today. I'm still gonna pick this up despite the negative reviews. As people already mentioned, it definitely isn't for everyone. I was hooked with overall zaniness, which the usual Suda51 games are. Average Game review score: 64"
Since when the **** is 71 % on metacritic an avoid? If you don't like the look of it sure but that doesn't mean it's a bad game, plus it seems reviews are pretty split. I just a Switch collection of NMH 1&2. I love those games. @Scottwood101 I rarely consider reviews on this site to be informative, critical or even good to read. @Quarth that’s probably because Nintendo life reviews smaller games that other sites don’t review: games of more dubious quality. To my mind at least, they review hohum Nintendo releases with too much leniency. Smash ultimate for instance is not a 10/10. Review scores aside, I consider their reviews to be inoffensive but hardly riveting or deep cutting. I think the problem with some of the bad reviews out there is that it's an expectation of "no more heroes 3" rather than a spin off title. Spawn Wave's review had me turned away, but NL's words have me once again interested. I check the score out of habit, but it's important to READ why the score was given. It seems the gameplay is meh (see other Suda51 games), but the tongue-in-cheek-ness is still here, almost to a nauseating state. You don't go into Suda games expecting good gameplay. He has a habit of poking fun at games themselves. 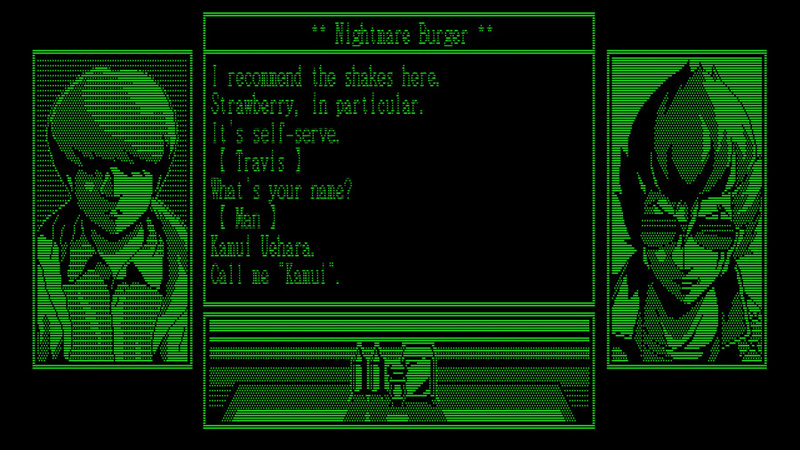 But the self-aware style is what draws fans to Suda and NMH - for me at least. He's like the Banksy of gaming for the jaded. That's what you're getting here too it seems, and as long as that style of game direction is plastered everywhere in TSA, it'll be worth the slog. They take the reviews based on the game-play, over all feel and mechanics of games given the volume of games they play and see. But to the average consumer, or an indie consumer we might actually enjoy its colour crazy weird mental potty mouthed adventure over someone in the biz. Reviews are hard these days.. play it; don't like it; sell it. @Abes3 What does 'best game ever' even mean? Games are a form of entertainment, their purpose being enjoyment, and enjoyment is -purely- subjective. Anyone's favourite game is a 10/10 for them - that is what 'favourite' means - and Smash Ultimate is a lot of peoples' (current) favourite game. For me, as much as I liked Breath of the Wild, and was blown away by my initial experience of it, the game was not a 10/10, as I did not feel compelled to play the postgame or to replay it once finished. Breakability, I felt, was a mechanic I really appreciated when playing the game, but it lessened my enjoyment of the postgame because there was no point in -collecting- things, in my brain, that were going to break. By contrast, I felt my initial experience with Splatoon 2 to be fairly underwhelming, but have enthusiastically kept plugging away at it long after I completed it. Objectively, the latter has many more flaws than the former, but I still enjoyed it more. I already have the pre-order! @Mgene15 Its basically the Kirby Superstar of the NMH franchise. A bunch of mini games with a bit of story. Won't be for everyone, but people who know Suda and/or Travis Touchdown will eat this up-- You either get it or you don't, and that will impact your enjoyment. Myself, I know what to expect from Travis and Suda51 in general (which I'm nutz about), so I'm more than stoked to play this. It may not be NMH3, but it'll do JUST fine for me. @MeloMan the reviews I've seen so far are people who were fans of the first two games and they're really disappointed with it and just can't really bring themselves to care about it. That alone is a red flag to me. @Abes3 I don’t really concern myself with scores all that much anymore. What bothers me about reviews is that your initial impression rarely holds up and therefore I believe reviewers should be suspicious of themselves and thus in my perfect world, the same reviewer should revisit their reviews a year or so after, and it should all be in writing. As someone super lenient on the aforementioned breath of the Wild, my views have changed for the worse in the last couple years. It’s a great game but I regard it as more shallow enjoyment than its predecessors. Dido for Mario Odyssey compared to the others. Wait...he's supposed to be an otaku? I NEVER got that vibe from what little I've seen throughout the few times I've observed the series... regardless, the aesthetics don't interest me whatsoever and the game otherwise seems pretty mediocre, so yeah...no. This game seems obscenely overpriced, to me, and that’s before even considering all the dlc they’re hoping fans of the series will pay for. @luke88 it comes with the season pass reason why the price is that high. But damn... A game, where you can play a guy, taking a sh*t, while also taking a sh*t in RL, thanks to the Switch’s portability... That’s awesome. Woohoo, nice review guys. Can't wait to play this! Wait and see what the gamer review metas say when the game comes out. This game doesn't interest me at all though. For me, critic reviews are never to be trusted. Have to see for one's self. I understand the series is well loved, but in my mind, and purely on face value, it looks to me like Suda tried to make NMH3, kept development relatively quiet because he couldn't replicate the magic of the previous games and landed on this somewhere in between game instead. So... this game is made for...hipsters? Game looks like a hot turd. Lots of bad reviews too. Easy pass on my end. I'm always amused at the people who seem confused when one site gives a score that's higher or lower than the average. Y'all do understand that these are individual opinions, yeah? @NintenGuy not according to the list of positive reviews i posted way above your comment. All of Suda’s games have divided critics. Killer 7 also had some lazy gameplay decisions and a generally unpolished feel, but I will never forget playing it. Some critics at the time scored it 4 or 5 while others called it a masterpiece. I’ll check this one out when I get a chance. I'm surprised to see such a high score. Just from watching the gameplay it looks.... not great. I love when people get upset that reviews aren't all the same. It's like they don't understand how anything works. Or gasp because they disagree with the reviewer. I don't trust that 8(and Spawn Wave Media didn't seem to like this game much), but reviewers hated Killer 7 and that game is on my top ten list. Yeah, I'm hard passing on this one. Just zero interest and that most reviews for it aren't very good doesn't help. @tourjeff If your a Suda and N.M.H fan buy it, just like all the other games. I never played a bad Grasshopper game. Killer 7 is one of the creepiest games I ever played back then around 2004. I beat it with the support of my brother, who got me through some of the darker hallways of jumpscares. I particularly love how fans analyse and talk about the story, even now, more than a decade later. No More Heroes 1 & 2 are super stylish and great fun: Beat'em Ups tend to be boring and repetitive and that's why I'm not interested in the genre at all, but I love the design and controls (and badass cutscenes) in the No More Heroes games. Travis is both my God of War and my Bayonetta. Sine Mora EX is similar: I usually get frustrated with most shooters, but I enjoyed the fine-tuned mechanics, story, style, and bosses in this one. Even Flower, Sun & Rain on the DS was unique and weird enough to keep me playing until the end. It seems even Suda's worst games have delibaretly placed hooks and a thick atmosphere. 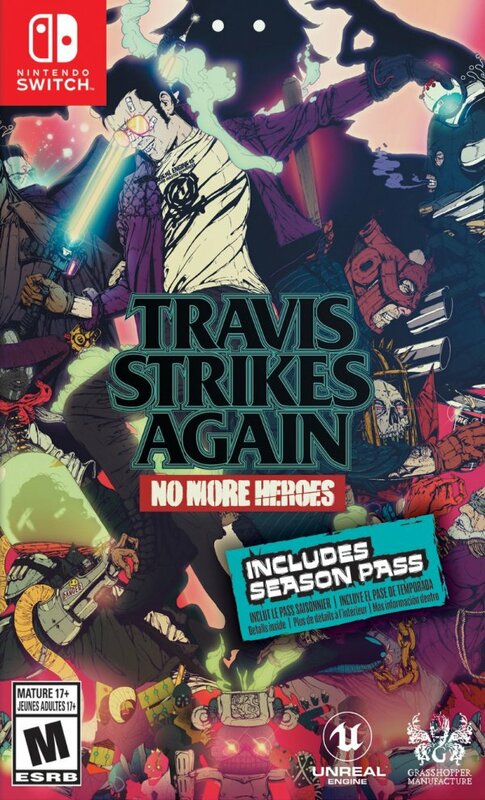 I'm glad Travis Strikes Again is going to be physical. Can't wait to play it and make it my first game this year. How about all the bad ones? There are much more than positives. Suda51 means mediocre at its best like always. Travis Strikes Again is no exception. Well its been able to tear me away from Tales but then again im a big fan of Suda 51 and Grasshopper games, so my opinion may be a little biased. Not a good game. Tries too hard to be funny, when it failed... it just looks stupid. Mostly 90s in-joke that younger gamers won't understand. @PrincessBowsette oh I see, an interesting choice. Is there any way to buy the game without? This game is fun. That is all. 8/10. Totally agree. Just played a couple of hours in co-op. Tons of fast and frantic fun, all dripping with style. Thoroughly enjoying it. $30 and an 8/10 all seem like fair numbers to mii. I wonder what score they would have given this game had it been published by Ubisoft instead of Nintendo. I hate to be cynical, but it's hard to take this review seriously. It's not cynical. It's a ridiculous accusation. Also TSA is self-published by Grasshopper Manufacture. Nintendo only published the retail version. I also don't see how the publisher being Ubisoft would change anything. Digitally it's 29,99. Season Pass ist 9,99 and seems to have a good amount of content – according to the information on Nintendo's websites and the Season Pass card itself. You might also get the retail version for about 34 bucks if you look around a bit. @BenAV "And with the Switch being portable, you can save on the toilet while also being on the toilet in real life." Which sounded way more novel ~10 years ago than it does now. Maybe smartphone fatigue/the overpromising of Wii U took its toll? @PrincessBowsette 69 metacritic. Lol! This game isn't getting my money. It's on my gamefly list. So ill get to see how bad it is this week. Was interested until I read about the motion controls. Maybe the biggest disappointment in my game library. Do not know the previous games, but this one is at best mediocre in every aspect. This is just a simple mini-game collection, with the No more heroes brand attached to it. Remember those "substitutes" on the Wii? Its probably like that (dead space rail-shooter, Sonic and the 7 rings etc). To me it doesn't look that interesting, so I'll pass. That the only "indie" thing are those t-shirts is a massive dissapointment. We hoped the indies would do some mini-games, or add their characters as enemies/bosses or stuff like that. Wow. Opinions all over the place with this game. I really liked the first two games. I might give it a try down the road. Seems like liking this game really depends on what type of gamer one is, but I'll have to find out when I find thirty bucks under the couch. There are just so many great games coming out this year. As a newbie to Travis this game is an easy 10/10 for me. I love it. It's so retro. There's nothing else like it on Switch. It's a very underated game. Newbies with a taste for retro should definitely get it!